Need a place to stay after attending an event? The Ted Constant Convocation Center is proud to partner with local hotels to accomodate both comfort and budget. Located in the heart of campus at Old Dominion University and adjacent to the Ted Constant Convocation Center, home of the ODU Monarchs, in Norfolk, VA, the SpringHill Suites is centered between Downtown Norfolk and the Norfolk Naval Base, and conveniently located within fifteen minutes of the Norfolk International Airport (ORF). Immerse yourself in luxury accommodations combined with traditional charm at Norfolk Waterside Marriott, a Norfolk, VA hotel set in the heart of the historic district. Located on the picturesque Elizabeth River, our Norfolk, Virginia hotel offers guests a vibrant, revitalized waterfront area with an abundance of entertainment options. Nestled on the riverbank in the heart of downtown, we are just steps from diverse shopping, dining and entertainment on Granby Street and year-round concerts and festivals at the Town Point Park waterfront esplanade. A short drive brings you to the Naval Station Norfolk or the sunny shores of Virginia Beach. 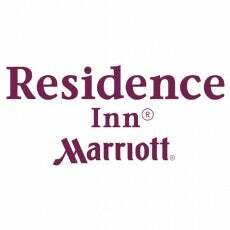 Located on Brambleton Ave in Downtown Norfolk, VA, the Residence Inn by Marriott Norfolk Downtown offers ideal accommodations for short or long stays in Norfolk. Guests will be at ease when relocating or traveling for a long-term project in Norfolk. The Norfolk hotel's studio, one, and two bedroom suites offer separate living, eating and sleeping areas with full kitchens.